LCT engine maintenance is an easy task now that you've found RCPW. The Replacement Commercial Parts Warehouse carries a huge selection of genuine LCT parts, available at discount prices that won't empty your wallet. 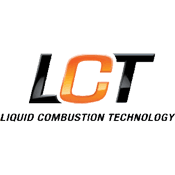 You can buy LCT engine parts using our convenient and free LCT parts lookup online. We are an online store devoted to bringing you quality parts at prices you can afford for both summer and winter LCT engines on mowers, snowblowers, tillers and more. Browse our selection of over 1.2 million parts available online, shop our LCT parts categories below, or enter your part number to find that perfect match. Not sure what part you need to finish your repair? Call our expert team at 800-937-7279 or use our free parts lookup today. We have a large selection of high quality LCT aftermarket replacement parts. Enter your part number above to find the replacement part you need!